To everything there is a season. It’s my time for LIFE. My time to be REBORN. My time to HEAL. My time to BUILD on my life. My time to LAUGH. My time to DANCE. My time to THROW OUT the old. 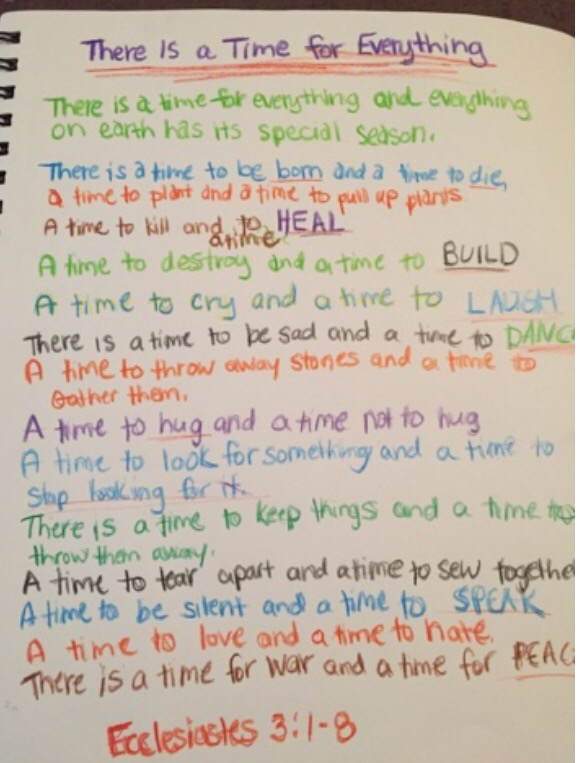 My time to HUG and embrace life and all the special people I know. My time to STOP LOOKING for answers and every thing I keep looking back to and let God lead. My time to SPEAK and not be silent. My time to LOVE and throw away hate. My time for PEACE. Therefore, if anyone is in Christ, the new creation has come: The old has gone. First shift back. It’s been pretty busy but got a selfie with my buddy! Food & Full House on this crazy wintery evening. Back to work tomorrow! The time off was nice but it will be nice to see my peeps again! Radio Interview, Road Trip and Birthday Adventures… OH MY! I am a survivor of human trafficking, mental, physical and financial abuse. Just a girl (baring her soul). Discussing mental health and millennial issues one post at a time.